In terms of Aussie David-versus-Goliath stories, the Evanston Gardens “Orleana Waters” residential property development isn’t quite The Castle. But it’s pretty close. The humble land owner’s life, and that of her family, has dramatically changed for the better. And with the creation of a unique* Development Rights Agreement thrown in, it’s a story DW Fox Tucker Lawyers is justifiably proud of. The numbers alone are remarkable. Under the guidance of DW Fox Tucker Partners Mark Minarelli and John Tucker, South Australian widower Andrea Gonis is now set to increase her ultimate proceeds from the sale of her land upon which Devine Homes are developing their “Orleana Waters” residential development by over 500% relative to initial outright-sale offers. Significantly, however, the innovative Development Rights Agreement also ensures Andrea retains a secure position for receipt of her sale proceeds. “As far as we know, when the Agreement was drawn up and signed by both parties in May 2010 it was the first time anything like this had been done in Australia,” said Mark, the Agreement’s chief architect. Under the Agreement, the developer, Devine Homes, was given the right to develop the land and sell the allotments. It’s anticipated the 60-hectare property will yield approximately 800 allotments when fully divided, to be rolled out at the rate of 100 per year. Just under 200 have been sold since the first became available in September 2012. From these transactions, Andrea will receive a percentage of all gross receipts of sale. “And the icing on the cake is that, thanks largely to John Tucker, with assistance from Christopher Knott, we’ve obtained a private binding ruling from the Australian Taxation Office confirming the anticipated taxation outcomes from the structure,” said Mark. “That’s eliminated any uncertainty relating to tax that Andrea would otherwise have faced. For more information on the Development Rights Agreement cited in this article, or to discuss its suitability for you or your client, please call Mark Minarelli on (08) 8124 1808. *To the best of our knowledge, the Development Rights Agreement cited in this article had not been conceived or used anywhere in Australia, under this name or any other, at the time of its conception and use by DW Fox Tucker Partner Mark Minarelli in 2010. 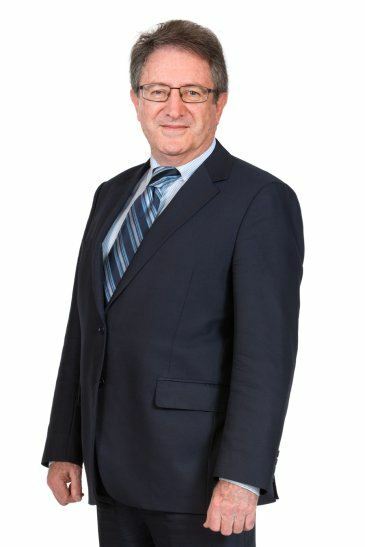 Mark was then Principal of Minarelli Legal.